"The future of engaging performance discussions!" We chose this solution because of the fact that they had a user friendly app. Our goal is to change the performance review from a once a year process to more of an ongoing dialogue between managers and employees. This app allows both parties to establish expectations through use of goals, monitor performance through shared feedback and private notes and to measure performance. The other positive factors are that higher level managers also have visibility to ensure that goals are properly aligned and assigned and can also monitor performance on an ongoing basis. The system is very agile and can be customized in a number of ways, sometimes, it can be challenging to figure out where to make adjustments to implement the appropriate features. Anytime I have run into this issue, I reach out to the support team and I generally have an answer back within a couple of hours. We are hoping that this tool will make it easier for employees to be actively engaged in their own performance management. "Easy to use tool for both employees and administrators"
The ability to facilitate the complete cycle of employee reviews - including self-reviews, manager reviews , 360 peer reviews, and goal setting. The review cycles are easy to set up for administrators and are quite flexible in how they are administered. Employees appreciate the fact that they receive email reminders when the due-date is approaching. I also like the ability for both the reviewers and reviewed to see their job description and prior reviews. We keep the peer reviews confidential for only the reviewer is able to see. While it's difficult to find any fault in the system and process, I suppose the user interface could be improved somewhat to make it feel more modern and up to date. Highly recommended. Engagedly mirrored the manual performance review process we previously used and was a natural extension of that process. Easy to use and administer and good client support. Prior to deploying Engagedly, our firm compiled reviews manually - Word documents. Engagedly provides a comprehensive, easy to use platform for compiling and managing the employee review process. "Great resource for a company looking to consolidate goals and performance"
Although we are still in the early adoption phase of the goals, I think the goals feature is the best built out feature. I really enjoy creating lessons as well - it allows me to create repeat content (like Harassment training) that will not waste tons of time for those that have already engaged in training! I love that we can create custom badges for the gamification and our employees really love complimenting one another and giving feedback to one another through the platform (more than I thought they would!) I also like that you can turn off the dashboard items so that it becomes less burdensome visually to employees and managers. The ways in which you can execute a performance review are limited. This is very much geared toward a 360 review model, which is fantastic, but I would love to have a more open-ended review process that does not require a scale.I think that more customization would be optimal, but I am not exactly sure what this would look like. Also, it's a very complicated and heavy program - once you are in it and get training it makes sense, but it can be very intimidating when you look at the dashboard the first time. This is an amazing source especially for a small to mid-sized company with creative people. "Great experience definitely gives a more social vibe to any company! " each article we create and have been able to upload the article into the news feed. Not only is the uploading and posting of the pdf seamless but, users are able to view the pdf straight from Engagedly without having to download the pdf. I don't necessarily love the Home Library, although It's helpful and interesting to upload the video into the platform for all of the users to see it would be helpful to be able to link videos from Youtube or Vimeo it would not only allow us to link inspirational videos we have seen but improve load times when users are watching the videos. Engagedely is definitely something you should use often to get the most of the features making sure to get notifications, give feedback, and complete performance reviews. In the past we had issues tracking goals or simply staying on top of goals. Engagedly lets us easily track and manage our company and personal goals giving us a set place to go along with reminders to check in/Update our progress along the way. 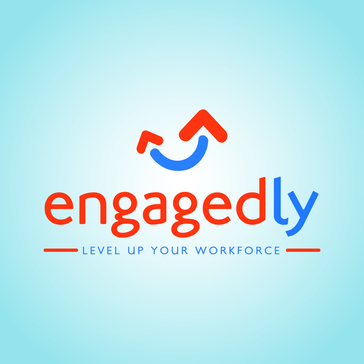 "Engagedly - A Great Option"
Engagedly is a robust platform designed to help make employee engagement and review an organized and user-friendly process. It's easy to customize the existing templates or create your own unique templates. We really appreciate that users have accounts and can log in to complete self reviews, peer reviews, as well as access their goals and other meeting notes all in one place. User support from Engagedly is excellent and responsive, and they take our suggestions into careful consideration. We are a smaller business (~35 People) and Engagedly works well for us - though I could also see it being a well organized and powerful tool for organizations with may employees and layers of management. Sometimes it can be a bit of a challenge to navigate as some parts aren't intuitive. That said, user support (using the help desk, message boards, or the written and video help) is excellent. It would be nice to be able to incorporate a wage grid into the program but this isn't a huge deal. Organization of employee reviews and keeping all information in one place, easily accessible, is a huge win for us. Being able to access everything from a web browser enhances the user experience as well. "Engagedly allows us to better track the growth of our staff, ongoing rather than 1-2 times per year"
We like that the entire staff can be involved in the review process, and track their own performance. With a regular feedback cycle, there is more opportunity to address and correct performance issues between teams and individuals. The multirater and template setup is not user friendly. We're hoping that with more time it will make sense to us, but it is taking a long time to bridge the gap between what we need it to do, and what it actually is capable of doing, while modifying our expectations as we progress. Get training and support and run through scenarios of what you expect to do so you can know for sure if this is the right program for your company, and / or adjust those expectations to fit what the software does. We typically do a full staff review at the end of every year. It is time-consuming, and our staff continually seeks ongoing feedback. We are starting to solve that problem with a structured review system and templated surveys, not to mention the occasional surveys and requests for feedback. "Product with some very strong features; some features need further development"
The software is very user friendly and has a strong look-and-feel. My favorite feature is the Feedback tool - this is well designed and allows a great amount of flexibility for the user when giving or receiving feedback. I also appreciate the different dashboards across the site, which allow for quick and easy checking of progress on different aspects of the system. The customer support is extremely responsive and helpful, as well. They respond to my (many) questions in less than 24 hours every time. I don't feel the reporting aspects of the system are strong yet. As an administrator, I have a difficult time pulling analytics besides the dashboard information, and sometimes the dashboard information is confusing/inaccurate. I have had some issues with course completions in the learning tab, and that has given me inaccurate statistics for our compliance requirements. I also wish I were able to pull more useful data about our learning course enrollments. For example, when someone registers for a course date, they are still marked as "Yet to start," but they are at least a step ahead of those who did not register for a date. I cannot easily notify those who have not yet registered for a course date without cross-checking the lists (because I do not want to notify those who already registered for a date). There are some other aspects of the learning tab that don't meet our needs. I would love to have the option to review/approve/deny requests for courses, and it would also be great to have pre-requisite functionality in the system that requires users to complete some learning before engaging in other learning. Easy-to-use, and engages our employees. A lot of the features work wonderfully and accomplish what we hoped for. Some features still need development - if reporting is really important to your organization, this may not be the tool for you yet. Engagedly allows us to streamline and align organizational goals with those of individual employees. The goal tracking is especially useful. We are also using this tool to support our performance management goals (building a culture of ongoing feedback and accountability). We will be utilizing the feedback feature and rewards section for this. The social feed and praise section allows our employees to publicly acknowledge and appreciate one another, which boosts morale. Finally, we use the learning tab to streamline our learning needs and manage our compliance training. There are so many things you can do with engagedly from performance reviews to anonymous feedback and creating groups for fun activities in and out of the work place. At this point there isn't anything that comes to mind. We have had the program for about a year so maybe something I dislike will come up after using it for a bit longer. If you need to use it for something specific just ask, the support team is great and helping and making engagedly work as needed for your team. The performance review process is so easy in engagedly! It's easy to set goals and keep up with them! "Best Engagement Tool In My Career"
I've only used a few engagement tools in my short career, and Engagedly is by far the most intuitive. We've had a good client relationship with them, as well, in terms of giving and receiving feedback on our use case and what features we'd like added to the tool to help our organization. Mostly it's the adoption of the tool that has been a pain point in my experience. I would think an office visit from an Engagedly rep could go a long way to help with this pain point in other orgs. Allowing our employees to see their contributions and the value of their work from the top-down. "Excellent tool of team building and knowledge sharing"
The way of giving constructive feedback and the fact that you can schedule reviews on specific person development opportuinty. The fact that you log the feedback during the year and just use it during the appraisal time. Promoting team work with Ask for Help. Goals cascading is a wonderful way of visualising the goals and the achievement of each with stakeholders involved. The learning module is very useful to create learning opportunities for the team members through creating online courses focused on the gaps you want to address in the team. The fact that everyone can ask for feedback. Nothing specific to mention. So far, the tool is 100% fulfilling our requirments. The major problem I used engagedly to solve, is the feedback logging during the year and use that during the appraisal review. This makes the review very efficient and transparent with full agreement. There are too many other benefits like the learning module and the goals cascading that I use and found it very useful. The message boards and groups are great for staying in touch throughout the day and implementing our new health and wellness program. We also like the goal setting feature as we now have a way to track professional development and achievement. There is not a way to truly make the anonymous feedback anonymous because our office is SO small. Unfortunately, we are not able to use this function to its full extent. This is a fantastic way to keep your employees talking- about priorities within the office and also on a social level. We have built an even deeper sense of community within our office since implementing engagedly; which says a lot, because there are only 13 employees in our office! We are using it to track professional development and goal setting. "Why look anywhere else? " My entire experience with Engagedly has been perfect. We were looking for a solution that was flexible, able to be customized and, most importantly, easy for our employees to use. We found that all with Engagedly. It was one of the few software solutions that allowed for easy solicitation of external feedback, as well as internal feedback. In a client facing organization such as ours, collecting feedback from our partners needs to be an easy process for not only us, but them. Working with the Engagedly staff has been a treat - quick to respond and to consider solutions outside of the box are two of the most important qualities they offer. While we have the opportunity for many custom builds, sometimes our ideas are outside of the original vision of the platform. I would welcome the opportunity to help provide additional feedback on potential opportunities for the software. Talk to Aaron on their sales team to determine how Engagedly can help you achieve your goals. It will be totally worth it. We needed a solution that would dramatically reduce the amount of processing time for collecting and distributing feedback. The process used to take 4 weeks of my time, I was able to complete within one week. "Refreshing new system for performance mangement!" First and foremost the level of service! Extremely fast responses to product questions and troubleshooting. The user interface is very intuitive, and has been extremely easy for our employees to learn. In addition to the ease of use building and launching performance reviews, the system has dramatically increased employee engagement outside of the yearly performance cycle. The social feed has been a big reason for this increase! In the 'Manage Features' setup, I would like to be able to have more detail on each feature. For example, the Intranet has some great features, but I do not want all of the features turned on, only a few. Let Sri give you a demo, the demo will win you over! Engagement outside of the yearly performance cycle has been solved with Engagedly! The social feed keeps employees engaged and has done an outstanding job of increased employee praising throughout our global footprint. I love that Engagedly triggers all email communications to employees and managers, and helps my employees stay on op of their goals. Its also very user friendly, so its easy to explain the step needed in order to complete a task. I wish there was a more formal 30-60-90 day review process. We have build out our own process around this, but Im sure Engagedly could do this better than we have, making it less manual and administratively time consuming. There is a clear line of sight to each employees goal - employees have either completed their goals, or missed them, and Engagedly make that easy to see on demand. The platform covers multiple needs from an employee engagement and HR perspective. It's nearly a one-stop shop to cover the essential needs and some additional benefits. The customization is slightly limited. When the executives have a particular concept in mind, we may or may not have the capability to achieve it. The customer support team is great at providing alternative solutions, and will do what hey can to make it work. Great tool if you have the flexibility to utilize the tool as designed. Our struggle is the particular wants/needs of our executive team which make the customization more tricky. The tool itself is great, though! I can see how this would serve as a great place to house facilitation of many items simultaneously. 360 Performance Evaluation is much more streamlined. Saving time, money, and collecting data effectively. "Helping us reinvent our performance management system"
There are so many things we love about Engagedly. It has truly facilitated our move from an outdated annual review process to a more fluid and streamlined model that encourages continuous and real-time feedback. We have become a more goal-centric culture, with employees and managers becoming more engaged and accountable in the process. We also like how Engagedly has become a forum for feedback, praise, and engagement. The support team at Engagedly is fantastic. They are always quick to resolve any issues that we have, as well as make changes to our platform based on company needs. Lastly, the user experience is really top-notch. Inviting graphics and a system that is easy to navigate helps employees assimilate to the product while encouraging usage moving forward. On the negative side, nothing really comes to mind. We are extremely happy with the service and it ended up being the right move for our company to take our PM model to the next level. "Engagedly has provided a well-priced, streamlined product with the responsive support to back it up." The system is simple to use, and the Engagedly team is always responsive to questions. The interface isn't as sleek or robust as some competitors, and we would really like to see them implement slack integration. This is a great product if you're looking for a simple, cost-effective performance management solution. The implementation process is very ad hoc, but the team is great about answering questions as they come up. To date we have used it only as a performance management tool. It has helped us streamline and simplify the semi-annual review process particularly as our company is increasingly distributed across multiple cities. Engagedly enables our small office with several departments to be able to communicate in real time with no hassle. I love the Anniversary and Birthday reminders! When it's time for reviews, it's all there for you. It makes it easy for you and your supervisor to see the results as a whole. Who is able to remember a great moment from 6 months ago if its not documented? No paper! I think there is much more that we could utilize if we knew how to use it. We had an initial meeting with a rep to launch the program but nothing since. Engagedly is our first program we have used as a group. Communication is much better. The team atmosphere has improved with others complimenting each other on great work performance. The package offers a ton of value. If you read about best-of-breed features, they have it. All supported by the latest academic research. We did a six month pilot and since it is so feature-rich, some of the ways you need to navigate are a little unclear. However, they are constantly improving the interface. Our employees are spread across the country and having a digital system makes us much more efficient. We are going through the first annual cycle so I would estimate a 25% improvment. "Small non-profit interested in improving employee feedback process..."
We're early in our usage, but have found Engagedly to be feature-rich, working as advertised, and are confident it will help with productive evaluation. Sri has been great to work with and generous of his time. Support has been exceptional... responsive and even modifying the product to more easily support our smaller company. This level of agility and immediacy of development is rare and much appreciated. Due to the large feature set, the interface and process can be a bit challenging. That said, there is plenty of relevant documentation to resolve any confusion we've had. And again, support has been quick and responsive. We've implemented 2x2 and annual reviews via the performance module. We'll be exploring the multi-rater and learning management functionality as well. "Great value software that has made our job so much easier on the talent management side!" I like the assignment of surveys and learning modules, the goal setting, and the sharing of business information in the Feed. I would prefer the ability to customize more easily, to have the LMS be scorm compliant, and to have the ability to assign some functions to another person without having to give them full administrative access (for example, someone to update the home page weekly cannot be assigned just that function). Our employees are upskilling at a higher rate due to the accountability around the learning modules assigned, they are setting goals and checking in more against them. We are sharing information more and are sharing in the fun on the social feed as well. We feel more like one company with this mini 'intranet'. "HR is made more efficient with automated performance review platform"
I love the anonymous feedback, the goal setting, the customizable performance review templates and the automated reminders on a schedule that I choose. The way it works is not super intuitive, so there is a bit of a learning curve when first getting to know the system, but once you understand it, it's a super useful tool. It's very customizable. Engagedly helpdesk employees are awesome and quickly respond to requests. Simplified recognition, feedback, goal setting and performance reviews all in one place. Record keeping is much easier and reviews are quicker. "GREAT product for small companies that are growing!" We have the ability to have BOTH 360 reviews and self assessment reviews in one portal. In addition, we can customize questions the way we want it. It takes a little bit of training to understand the UI and how to make changes to cycle dates and questions. It's not entirely straight forward. It's affordable, and the customer support is awesome! Always available! Our employees like using it and find it easy once they've had a short training session. We have the ability now to provide constant feedback to the employees and have them give their input on how they think they are doing in their role. It's great to have so many modules to choose from in one program. "Highly professional team with super customer service and superb highly configurable product!" Very very flexible in accommodating our requirements. Team is very approachable and knowledgeable. Nothing so far! Its been <3 months and we are good with what we are using. Have a user friendly tool for our performance mgt needs and a tool to facilitate continuous feedback. "Solid product that meets our needs"
we use engagedly primarily for the survey and multi user review tool. It works well for us. The responsive customer service and the companies willingness to quickly include updates in response to our requests without adding additional charges are the things that have differentiated them. Our employees have limited online time and didn't adopt the facebook like praise aspects. We didn't incentivize it or push it either but we don't use the core of their model. Just be frank about your needs and limitations. They've always been very willing to adapt. We use it for pulse survey's to track engagement and gather feedback on specific initiatives. "Great tool - easy to use"
Powerful feature-set, easy to use as a User. The Learning tool has been very helpful with distributing knowledge across our organization (200 employees spanning across the US/UK). Customer Service is excellent - bugs have been fixed same day, or next day. Noticeable uptick in employees recognizing each others good work. As an Admin, there's quite a bit of onboarding and setup to best benefit from Engagedly. Some parts of the product seem overly-complicated. I wish the Rewards system had more options, for things like Amazon gift cards, company swag, etc. Employee engagement, communication, and awareness. Our organization spans across the US & UK, and Engagedly helps us all maintain contact, and understand / respect the work accomplished by other departments. "Easy and Well Organized Employee Performance Management and Engagement Tool"
The Engagedly product brings together a number of Employee performance management and engagement features that are simple and powerful. The various areas are well supported with excellent video and document training support and I have found human product support to be excellent. So far there's nothing I "dislike" per se - in the set up of users however I have found it a bit challenging to navigate as the text entry blocks don't show up well on my laptop. This is an inconvenience more than anything, however when I have to set up 30+ users it can get a bit tedious. This is a well thought-out product that meets our needs as a small business. It is very cost effective and user-friendly. We are very new users to the product so I don't have a lot of data to draw from here, however the biggest benefit I see for myself so far is the bringing together of goals, reviews, and continuous feedback into one place. Formerly we kept them all in excel documents which were hard to work with. I am also expecting a lot of employee engagement and usage since the product is so easy to use. "Engagedly - a modern system for performance optimization"
Engagedly is a very modern system and it touches on all of the functionality that we need at the right level. When we evaluated performance management systems, many of them were bulky, required extensive administration, and the designs were for a lack of a better term, "old school". With Engagedly we have access to evaluations, employee recognition, an LMS, knowledge sharing, and more, with just the right level of detail to capture the data that we need without being burdensome. There's nothing really that we dislike with Engagedly; there are some scenarios where we need to be able to do something within the tool, but the functionality isn't 100% aligned. The Engagedly team has been extremely enthusiastic in discussing modifications or new features to help us get better alignment, and they have been very helpful in finding us workarounds in the meantime. For us, Engagedly represents a complete upheaval in how we track employee production, engagement, development, and management. . We did extensive research into performance optimization best practices and change management. We were happy to see that Engagedly mapped very well to our findings. Ultimately, we needed to have a dedicated team that was explaining not just the tool to the business, but the change in process and philosophy. We are tackling several problems with Engagedly, all tied around performance optimization. We are utilizing the cascading goals feature to align goals from every team across the business - which is something we have never done before. We are utilizing the performance review features to make our employee review process less manual and more sustainable. We will be rolling out the LMS and 360 multirater toosl as a replacement for the bulky systems that our global corporate function has provided. Ultimately, we are collecting the information in one place to make it easy to conduct reviews and provide reports on how the business is doing. "Good product that could be great"
I like that it encourages employee interaction by giving points per action. It's also an easy way to create and distribute work related surveys. It seems to be a bit limited on how you can create surveys. The design seems a little outdated as well. Not that that is a huge issue, I just think it could be better. Decide how you want to use Engagedly before purchasing. Have them show you how to make it work for your needs. It's a great solution, just wish you could customize a bit more. Creating and tracking employee reviews. Also using to create communication between teams that is not work related. "Easy solution for ongoing feedback and reviews"
The performance review feature made reviews simple and engaging. As a startup, this was our first time conducting reviews, but Engagedly streamlined the process and made it easy for everyone to participate. I'm also a fan of the ongoing feedback feature and believe it will provide a good tool for our managers. I would like it if the gamification could be customized to track our company's specific needs. It's a little early to tell, but definitely being able to keep all of our reviews in one place and have a platforms that handles the logistics has been a problem solved. "Great experience formalizing our performance review processes." I like the aesthetics of the site and that it is intuitive and easy for all employees to use. We particularly like the Praise Wall feature and the Feedback feature for tracking progress leading up to performance reviews. Lack of communication as new fields/features roll out. For instance, I see new fields on User profiles for HR Manager, Secondary Manager, etc, but they all seem to interrupt the access of other managers on the profile. Performance reviews and professional development. We have been able to formalize our review schedule and enjoy the easy "Org Dashboard" to track the overall progress of reviews. It's a little complicated for hr and managers. There are several different sections in the reviews that just make it less simple to use. We are able to complete annual reviews instead of putting my them off. It also give employees constructive criticism and feedback. "Great tool to increase employee engagement and manage performance effectively"
If you are looking for a platform which keeps your employees engaged and manage employee performance effectively , look no further than engagedly. "Love the system approach for all Modules"
I like that there is one place to house our HR, from reviews to recognition. I wish the cycle management was not so tricky. Communication with team and clients. Consistency to keep things organized in one software system but not a corporate feel, very friendly option. "Easy to navigate and easy to use..."
The simplicity to follow and learn how to navigate. It is easy for the employees to use and engage with everyone. Can't think of anything right now. To be able to tailor the access employee's have to post their ideas. At the moment we don't have anything to report. The Social Media feel with the feed and groups, makes the workplace more fun and employees feel more connected to each other when working virtually. I enjoyed the platform but perhaps a bit more polishing and user friendly navigation is in the works. Employee morale and participation shot up with the introduction of Engagedly's social avenues. Employees were able o interact and praise each other, share ideas and photos, and establish a sense of community that is difficult to attain in a virtual work environment. We also utilized the review process allowing employees to first review their own performance prior to meeting with their manager and collaborating on goals, areas of improvement and celebrating employee excellence. I like the broad capabilities that Engagedly offers from learning, surveys, performance management, and feedback. Having one robust platform that tackles all of these areas is extremely helpful and efficient. Engagedly is also very open to feedback and enhancing their end user experience. I would like better integration with Outlook and help with scheduling trainings. Our company started with the LMS program and it's brought a lot of structure and transparency to our training program. "Performance Mgmt Software working out very well for us !" Our organisation is about 1100 members at the moment, distributed between India and US. Engagedly has really helped us automate our Performance Mgmt system, take it online, making the whole process more efficient and systematic and user-friendly. We also use the Social, Survey and e-Learning features a fair bit. We have been very satisfied with system performance and post-sale support (as and when required). Engagedly seems to be better suited at handling support through email than through calls. They do not have a whole lot of documentation about the product. Efficiency & Automation of HR features. And Employee Engagement. "Great tool for 360 feedback and performance management"
Easy to use, checks all the boxes I was looking for in a performance management tool. Nice goal setting functionality. There is no current mobile app which could increase engagement with the tool. "Great! The ease of using this system coupled with the capabilities it offers make it amazing." I really like how easy it is to setup the system configurations. Also the support team is very responsive and helpful. It's a truly innovative approach that provides a tangible mechanism and methodology for moving any organization's talent management processes forward. At first all the features were a little overwhelming, but once I learned that they can be customized to my needs with no cost it actually became something I liked. Build and select the functionalities/capabilities to meet your organizational needs. Really help the organizations align the goals across the organizations to support the overall mission/strategy of the organization. This was achieved by utilizing a variety of the platform's features (social, feedback, performance management, etc.) in unison. I thoroughly like it's "social media" feel and it's ease of use. Feedback and reviews are much easier. "We used it mainly for the annual review." the decimal part for the rating doesn't work. and the template is not as flexible once it's set up. replacing our paper annual review process with it. It brings a fun, bottom-up approach to building an engaged workforce. Instead of traditional merit review systems, Engagedly brings the entire workforce together and helps build alignment and teamwork. It takes a champion to drive it into the organization. We looked at multiple systems and decided Engagedly had the best mix of features and capabilities. The decision was not close. Low morale caused by ineffective management and limited mobility within our small company. Engagedly provides a vehicle to spur feedback and alignment on goals. It will help us be better at managing our workforce. "Solid tool for coordinating and aligning with your management." Easy to use interface and good feedback presentation mechanism. The user interface looks somewhat juvenile. Consider the ratio of employees to managers. I appreciate having a written record of my communications with my manager related to my performance. Easy to use. Very intuitive. Simple interface. Good support from the company. I have no complaints or dislikes on the application. Human resource management - specifically goal setting for individuals. The surveys. I like the way they allow for customization. 10/10 Communication with Engagedly team to correct issues, determine best use cases and add additional features. Performance management forms could be more customizable. Training. Teaching new staff the basics of the job is much easier with dedicated software. "Easy to use software that has had an immediate impact"
The social feed and the gamification. it has connected the staff between all three offices, and increased the general rapport and interaction within the office. So far, there hasn't been anything that i actually dislike. "Excellent performance and learning tool for training "
"Ceo of a company. Sqe how engagedly was a major cause of improvments in company culture"
Ability to praise and give feedback. Improved employee moral and engagement. Allowed managment to better follow performance. * We monitor all Engagedly reviews to prevent fraudulent reviews and keep review quality high. We do not post reviews by company employees or direct competitors. Validated reviews require the user to submit a screenshot of the product containing their user ID, in order to verify a user is an actual user of the product. Hi there! Are you looking to implement a solution like Engagedly?